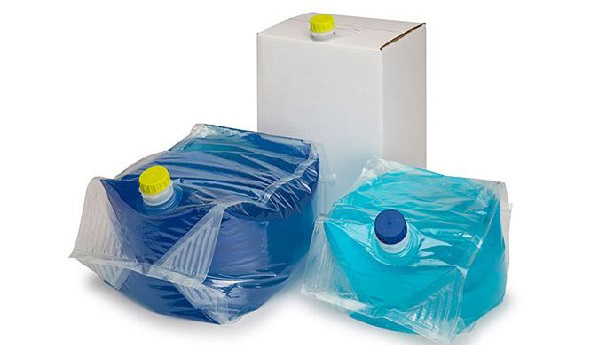 Quadpak’s bag-in-box system meets customers need for the security of a rigid container combined with the benefits gained from flexible packaging. We take our patented light weight, high performance inner liner and surround it in a specially manufactured durable, but disposable outer corrugated box. The result is a product that performs as well as a rigid container, but with 90% less packaging than traditional rigid containers. Cheertainers ensure the purity, safety and security for products within the chemical packaging, pharmaceutical packaging and food & beverage packaging industries. This confidence is supported by rigorous compatibility testing which has resulted in Europe’s first UN certified bag-in-box packaging. The Cheertainer bag-in-box’s gusseted, form-fit bag stays square once filled, even before the protective box is applied, allowing for a less expensive, less heavy grade outer wrapper to be comfortably used.